I had a little rant about Spam a while ago … but I didn’t acknowledge that some of it is just hilarious. 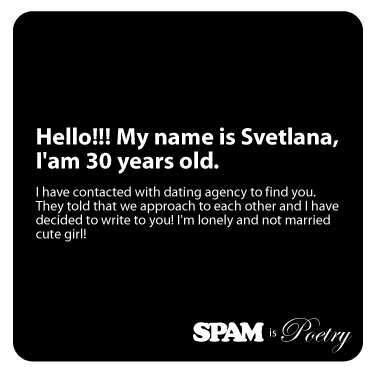 Spam is Poetry is a great site I found today that celebrates ridiculous Spam. The site describes itself as “A collection of desperate cries for attention from the marketing gutter”.